If you can’t open the audiofile above, download this free programm. Then you can convert the audiofile into another format. [Other languages: Click here to listen to this recording with an introduction in another language: „Projekt: ‚Himmlische Klänge‘. Keyboard music and Singing by Julia Berndt. This recording includes 25 Minutes of singing in the spirit with spontaneous keyboard music. In the audiofile you can listen to an introduction of ca. 2 Minutes. What is „Singing in Tongues“ and „Singing in the Spirit“? Speaking and singing in tongues is a gift from the Holy Spirit. It is for everybody who gave his or her life to JESUS. This gift allows us to worship God from spirit to spirit – and to release heaven on earth. Singing in the spirit means for me personally: Singing prophetic songs (eg sung prophetic impressions), and also just a singing of what you feel in the spirit: these includes single „tones“ and the like. This recording includes both: Singing in tongues and singing in the spirit. In October 2013 I thought about making a longer audio file with singing in the spirit and keyboard music for soaking and prayer time with God. In November – on 27/11/2013 – I asked God about it. Then I saw before my inner eye a picture that I should create for the recording (A kind of „cover“). I wrote it down in ordner to design it on the PC later. And I got that I should make a short introduction before the actual (music) recording. I thought of my article from 2012: „What is singing tongues?“. When I went to the PC to access the article, I saw that I had published it exactly 1 year ago: on 27/11/2012. In prayer I got that I should publish the recording for the „new year“, in January or February. To confirm this God gave me a picture of fireworks. A firework is ignited so often at a party, but also on a new section, for example on New Year’s Eve. I feel that our worship to God is also a kind of spiritual „fireworks“ effect: It is a pleasure for us and for God and a terror to the kingdom of darkness. The fireworks also represents a breakthrough in the spiritual realm. Something new is breaking through. A spiritual birth. In prayer I got the release date: 21/01/2014 (This was the date for the original version in German). On 16/01/2014 I decided to make the recording. But on that day I had a headache and was so exhausted that I asked God how I should make the recording … Then I had the impulse to simply sing in tongues for myself. I did, and then I sang a few prophetic impressions as a song, also without recording. – After that, the headache and the exhaustion had disappeared! God encouraged me again that singing in the spirit brings healing! The bride of JESUS (= this includes all Christians who have given their lives to Jesus) with raised arms, as she worships God. About her I saw vertical – top to bottom – notes that came from heaven to earth. The notes represent the heavenly sounds which are received from heaven and released by the bride of JESUS into this world. The 9 notes also stand for the nine months of pregnancy and symbolize a spiritual birth. 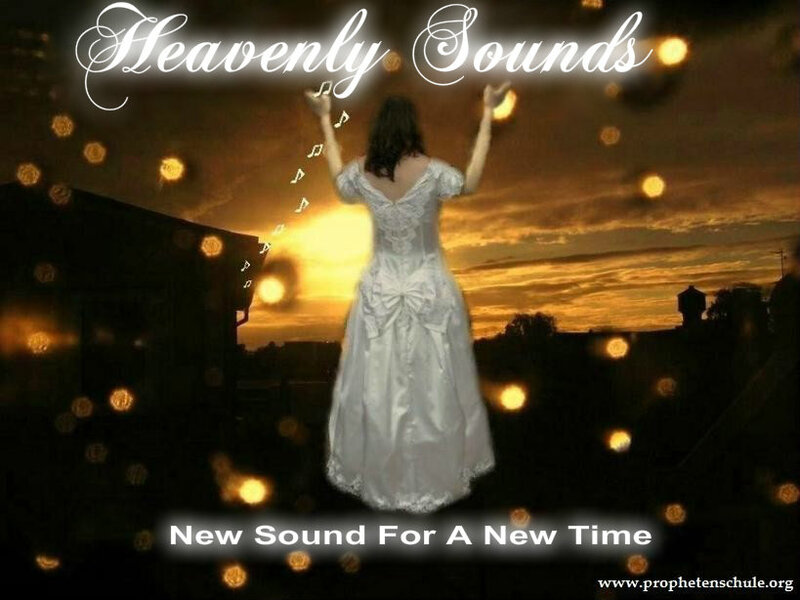 As background, I saw the photo, which I had used in another recording: „Healing Sounds of Heaven“. In that older recording I had also sung in tongues for healing. See article: „Words of Healing for you / Healing Sounds of Heaven“. What did you experience while listening to this recording? Did God speak to you? Did He touch you,..? Now I also want to ask you an important question: Did you receive JESUS as your personal saviour and invited Him into your life? If not or if you are unsure about it, please take a look at this page: „Experience JESUS personally“. God sometimes puts it on my heart to sing in tongues for people. Most in the intercession for a single person, sometimes prophetic songs. During singing in tongues I sometimes get prophetic impressions, but not always. But I realize that it causes breakthroughs in the spiritual world. Read more in the article „What is singing in tongues?“. If you are a Christian and would like to receive the gift of speaking and singing in tongues, read this page . More music recordings are available in the „Music Downloads“ . Test everything and keep what is good (cf. 1 Thessalonians 5: 20-21). The Bible is the only basis. Prophecy must be tested by the Bible and the nature of God. 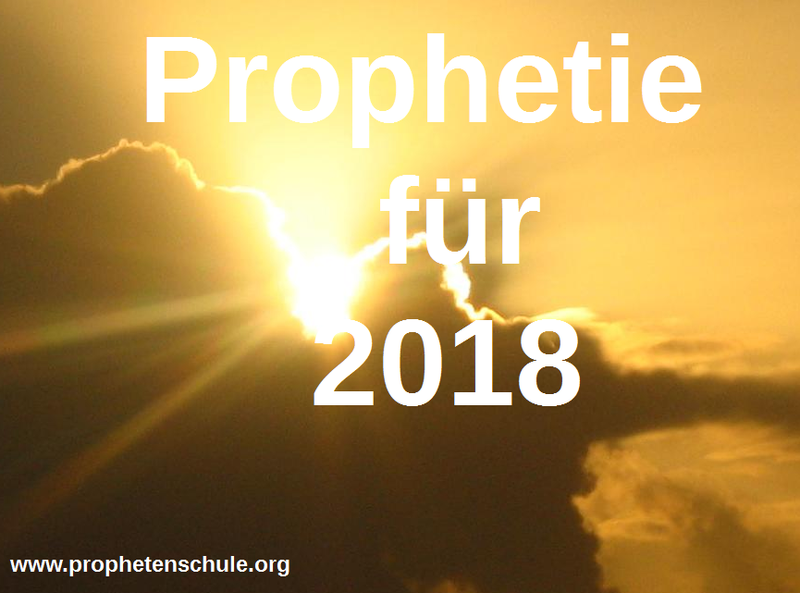 Learn more about this in the following articles: Are prophecies infallible?“, „What does ‚testing‘ mean?“ and „Handling prophetic impressions“. 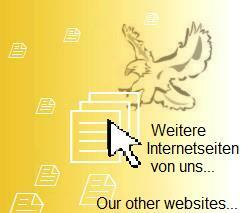 Our website is mostly written in German. But of course you can write in English under this article! We love to hear from you! Thanks Jason, that’s an interesting thought. Yes, I believe that it can change the atmosphere. Because the Holy Spirit takes us into His presence and fills us with worship for God. That truly can bring breakthrough… Blessings!